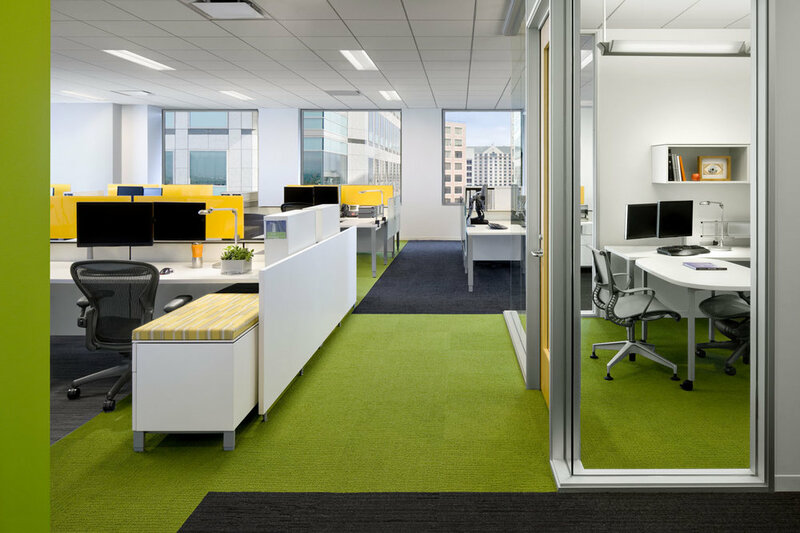 Adobe W12 — Valerio Dewalt Train Associates, Inc.
Fifteen years after the construction of their headquarters in San Jose, Adobe selected Valerio Dewalt Train to design a planning strategy for the next generation of the workplace. The original build-out, located in three Class A high-rise office towers, included eighty private offices, but only four conference rooms. Through stakeholder interviews and workplace utilization studies, the design team, including key Adobe staff, studied how people collaborate in the Adobe workplace. The objective was simple, for every “seat” devoted to solitary activities, there should be a “seat” devoted to collaborative work. Private conference rooms and low-partitioned stationary desks are complemented by touchdown spaces, informal meeting spaces, a game room and kitchenette with booth seating. 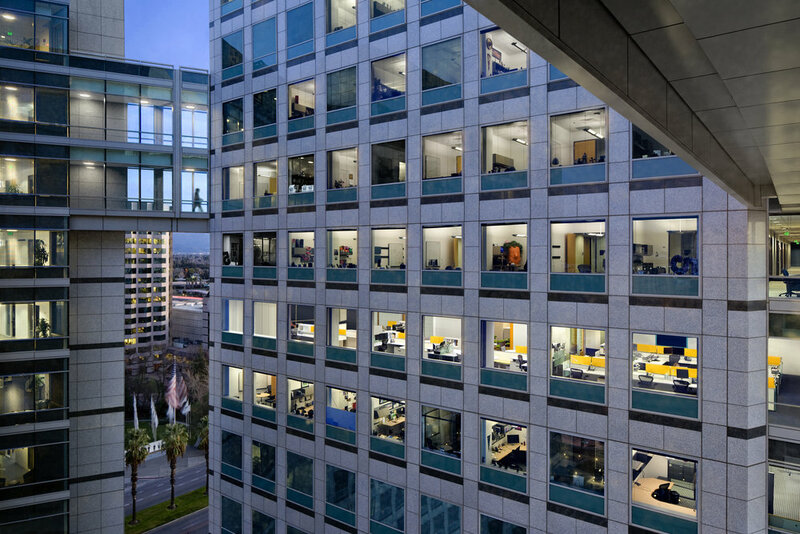 State-of-the-art video conferencing capabilities and smart floor technology - for the management of energy consumption - is integrated throughout to support Adobe’s corporate mobility program. To evoke brand personality, environmental graphics are interspersed. Each of the collaborative spaces are named after an Adobe typeface beginning with the letter ‘H’. Additional product, marketing, and employee art is integrated throughout, which relates to the Adobe global brand. Adobe W12 serves as the prototype for future Adobe workplaces.